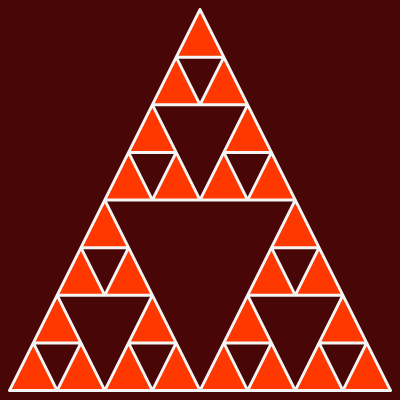 Free online Sierpinski triangle generator. Just press a button and you'll automatically get a Sierpinski sieve. There are no ads, popups or nonsense, just an awesome Sierpinski sieve generator. Press a button, get a Sierpinski triangle. Created by mathematicians for mathematicians. Background color Sierpinski sieve's background color. Line color Sierpinski sieve's line color. Fill triangles with a color? Internal color. Internal triangle fill color. Line Width Sierpinski gasket's line thickness. Padding Padding around Sierpinski gasket. Sierpinski sieve generator tool What is a sierpinski sieve generator? This tool draws Sierpinski sieves, also known as Sierpinski triangles. 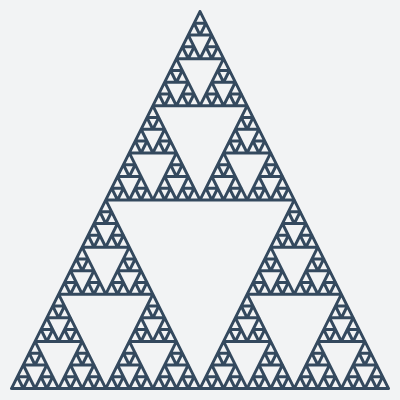 A Sierpinski triangle is a fractal structure that has the shape of an equilateral triangle. Each triangle in this structure is divided into smaller equilateral triangles with every iteration. At the moment we allow up to 13 iterations because drawing 14th iteration takes too long. With this tool you can customize Sierpinski gasket's size and looks. You can set the width and height of the fractal, change the background, foreground and fill color, change triangle's width and change padding around the drawing. Mathabulous! This example iterates Sierpinsky algorithm for 4 iterations and draws it on a 400 by 400 pixel canvas. It uses three different colors to draw it - white for triangles' border, brown for background and red for inner triangles. 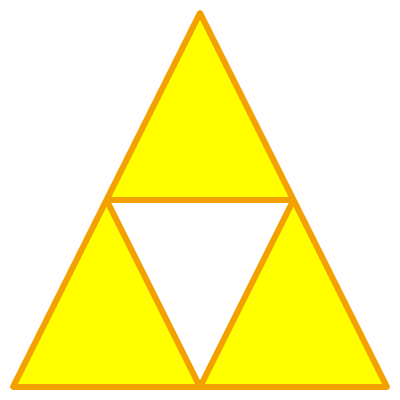 This example draws a triforce. A triforce is nothing but a 2nd generation Serpienski sieve. 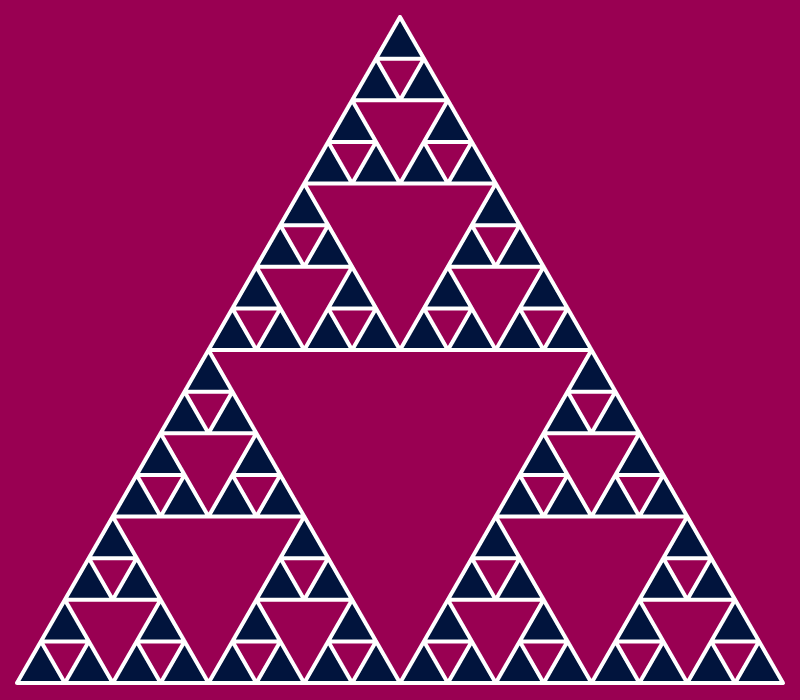 This example draws a Sierpinsky gasket using five iterations. As a result you get a very detailed fractal drawing of triangles-in-triangles. This example uses only two colors to generate a Sierpinski sieve fractal. It disables color-filling option that fills inner triangles and as a result you get just the outline of all triangles.